ARE YOU A BEGINNER AND WANT TO GIVE THE SPORT OF SKIING OR SNOWBOARDING A TRY? WE OFFER A VARIETY OF LESSON PACKAGES TO SUIT YOUR NEEDS. If you are interested in getting a lesson in one of these languages please contact Lakeridge in advance so we can ensure the Instructor is available. This program is designed for people who have never skied or snowboarded before. Includes a 1 hour lesson, a 4 hour all hill access lift ticket and a 4 hour ski or snowboard rental. Helmet rental is an additional $11.00. You will be with other beginner skiers or snowboarders, Maximum of 8 participants. Our Learn to Ski and Learn to Ride Programs allow you to take your first step with your equipment and gain confidence in our learning areas before challenging the rest of the hill! This group lessons are for everyone on their first day on skis or snowboard. Includes a 1-hour lesson and 4 hour all hill access lift ticket, and a 4 hour ski or snowboard rental. Extending your lift ticket past 4 hours is $12.00 p/p + HST. Extending your Ski rental is $6.85 per hour and Snowboarding is $7.85 per hour. You must call the Ski & Ride School to book your 4 person lesson package prior to arriving at the hill. All prices are quoted per skier/ snowboarder. You must arrive a minimum 1 hour prior to your scheduled lesson time. You must pay for the lesson with a credit card to hold your lesson time. If you wish to cancel, you must do so within 24 hours prior to your lesson or $50.00 + HST will be charged to your credit card. This program is designed for people who have never skied or snowboarded before. It includes a 1-hour lesson and 4-hour all hill access lift ticket, and a 4-hour rental. Extending your lift ticket past 4 hours will be $12.00 p/p + HST. Extending your Ski rental is $6.85 per hour and Snowboarding is $7.85 per hour. You must call the Ski & Ride School to book your Lesson Package prior to arriving at the hill. 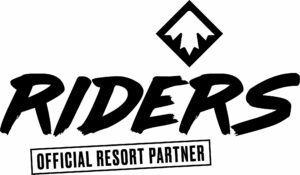 All prices are quoted per skier/ snowboarder. You must arrive a minimum 1 hour prior to your scheduled lesson time. You must pay for your lesson with a credit card to hold the lesson spot. These lessons are designed for people who are new to the sport or would like to improve their skiing or snowboarding abilities. Get valuable advice from an experienced Instructor during a lesson focused on your needs. Note: Semi private requires 2 people, that you will need to bring. Pick a lesson option from the chart below. Lift ticket options below or refer to Hours and Ticket Prices. Rental options below or refer to Rental Fees. You can purchase a 2 hour rental and or lift ticket with your 1 hour private lesson.